The XDe CMS (Content Management System) allows web site proprietors to pick and choose from various components that all work from a common database. Each module builds upon the others to provide additional functionality. These intelligent modules can even detect their peers and may offer additional functionality depending on what other modules are present. Implementation times are also very short because of the cross platform code. The entire system can be customized through CSS and centralized site options (another XDe module) All modules are regularly updated via the PawPrint.net auto-update system. PawPrint.net is committed to site content solution and is actively developing and enhancing modules for new and existing customers. Basically the XDe is a tool that PawPrint.net uses to design very complex web sites very quickly and inexpensively. We have spent countless hours developing modules that perform specific functions for a web site on their own but because they all interconnect, the more modules you have, the more functionality each may provide. Users, through a secure login, can update their own information keeping the entire system in line with current privacy legislation. Other areas of the site can be configured to present information to valid users only - based on a variety of criteria including category data. Additionally, these modules already have sufficient flexibility for the tracking of additional �custom� data on a per-user basis. Provides security profile management across all XDe modules. Allows user access to specific modules and/or module function to be managed. Access rights for each module can be set to Read, Write, Admin, None, or a Module-Controlled �Data Driven� mode. Some modules have special access rights in addition to the standard settings. Implements global options specific to each module as well as providing a means to allow custom options to be defined for specific projects. Manages on-line and email based notification across all modules ensuring email notifications are secure and standards compliant. Also provides user to user communication on-site and allows users the options to configure their own preferences for how to receive notifications. Several modules that provide a storage means for various specific data-types. These are, in general, used by other modules to provide additional functionality - but can allow PawPrint.net to create custom solutions without the expense of new development. Provides an avenue to upload and display news, and current information articles with unlimited images for each article. The module automatically generates a RSS (Rich Site Summary) XML feed as each new article is uploaded, allowing for syndication and user subscription. Articles can also be issued as press releases to subscribed users. Combine this with the newsletter module to generate email newsletters for your entire user-base or certain sub-sets of users. Display both single and multi-day events with start and end time accurate to the minute. Any event can be set to repeat forever or until on a specified date. This module makes use of our �Date Tools� CodePac to display events in a calendar generated by CSS with day, month, week, or year views. Events are search-able, secure-able and all data is under control of site administrators. Provides the framework for a master off-site backup server to take incremental encrypted, compressed backups of the entire web site including all files and database with success/failure notification and retention options. For off-site backup the client must be triggered by a master server - this can be purchased as a service Dark French Host or the master module can be purchased for a one time fee for use with your in-house server. Provides a cross-reference between IP addresses and Countries that allows the web site to make an educated guess as to the origin of the current visitor. This can be used to tailor content for different countries and facilitate filling out forms. A centralized language translation system that uses phrase lookups rather then mechanized translation to provide the web site content and administrative controls in the user�s language of choice. A master language server from PawPrint.net is used to roll-out automatic updates for new translations as they become available. A Context sensitive on-line help system for site users and administrators with the ability for site customization and auto-update. All XDe modules feature direct links to the help module on their own web site. The master copy is continually being updated and enhanced. 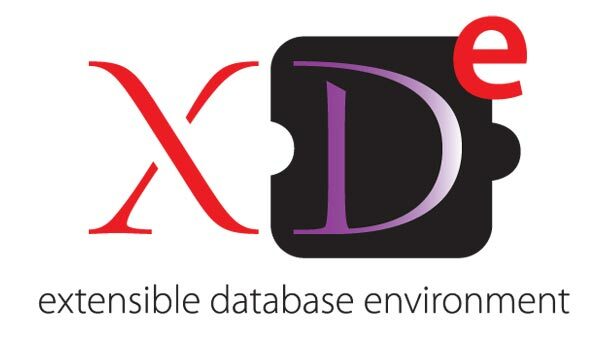 This group of XDe modules provide various forms of user interaction. Bring web sites to life and create a vibrant user community through the use of interactive modules. The costs (in $CDN) are listed for each module. This module allows the creation of secured search-able categorized discussion forms. Ideal for fostering an exchange of ideas between members. Forums include polls, image and file attachments under administrator controls and various viewing options. Completely standards compliant, this simple web-based chat-room can be configured by the site administrator into various topics and requires no special software on the client-side. Flexible on-line testing system. Build banks of questions, by subject, including multiple choice and written answer questions - then the module builds tests based on a number of questions and desired difficulty level or create custom tests that remain in the system. The module will automatically mark all questions except written answers - requiring the Quiz Administrator to complete marking once the student has completed the Quiz. Integrates with the SAR Management System Module for training tracking. Provides the ability to create and manage pages on the web site. This includes the ability to upload files and images, control layout and style, adjust site navigation and much more. This page is an example of what is possible using the content manager. It is the backbone of the XDe and puts the poser to manage the web site into your hands. Provides a central repository for collections of documents. Ideal for organizations with collections of policies and/or discussion documents. It has also been used to create a web-portal for conference proceedings. on-topic for your site and industry. An on-line searchable glossary of terms. The glossary automatically cross indexes itself as new words are added. PawPrint has continually achieved top search engine rankings when this module is added to a web site and a good selection of terms are inserted into the database. An on-line searchable gallery of images to encourage user upload of images. Images are organized into groups, categories, and albums which can be restricted for posting and viewing. Includes the option to allow rating of images for additional user interactivity and a bulk image import. Provides the ability to design branded newsletters for email delivery and on-site publishing. This module knows which other modules are installed, and allows content from those modules to be used when building the newsletter. For example, if the �News� module is installed the newsletter can pull specific articles into its design - the other modules work much the same. Once the newsletter is ready it can be "issued" to site members through the XDe broadcast email system - which includes the ability to track which users have read the newsletter and how often using the trackmail module. Display your services and/or projects in a searchable image rich page. Grouped into categories, each item can have multiple images and content can be posted in various formats. Add tags to various items from different modules (tags are like click-able keywords) This enhances searching and search engine indexing for the site as well as the overall user experience. Created specifically for the tourism and accommodations industry, the following modules can be used together or in subset to provide a complete accommodations management system or just components such as an on-line listing system or in-house property management system. A module providing searchable directory listings for Hotels, Bed and Breakfasts, Inns, or Resort accommodations with support for administrator override, multiple photos, and user managed detailed listings sorted by section. Site options control much of the directory�s behaviour and limits for user contributed data. Manage rooms and room types with additional photos and room details, limits and special conditions. Rooms can be marked active or inactive and create the foundation for the availability, booking, and pms modules. Track the availability of rooms based on input from the site administrator or guest bookings. Allows site users to check availability before making a booking based on real-time data from current bookings. Site Administrators can book off time in blocks and the module can handle individual or classes of rooms for either small or large facilities. Availability can be displayed in calendar or grid form with configurable formatting via CSS. Manage booking rates - by room or room class, season, or even special days - each with options for different rates for certain days of the week. Includes nightly, weekly, monthly rates and package rates. Extra charges and fees can also be configured. Manage on-line guest bookings & reservations, including availability update, cancellations, and notifications. Uses the rates module to quote current rate and can work with various e-commerce solutions to provide for taking deposits or merely information capture. Works under SSL secured or regular servers. Manage in-house bookings for hotels and inns. Track all guest rooms, housekeeping status, nightly audits and even generate a bill at checkout (with accounts and billing modules) Links directly to Availability and Reservations modules to provide a seamless turn key reservation and property management solution. One of PawPrint.net�s most powerful modules the SAR Management System is a world first for managing marine SAR prevention, administration, and training. Designed to track all aspects involved in a Marine based SAR organization. The system is entirely web based to provide secured access to personnel from all areas of the organization: from SAR crews to office administrators. These modules provide functionality of specific benefit to business users and portal web sites. Including both public and private features and management. The business listings module is a full featured listings system. It incorporates a secure user-based update system. The authority to update listings can be delegated to the individual businesses listed and it�s representatives. It combines broadcast emails to specific categories of listings and the ability for the administrator to customize exactly what information is captured from each business based on categories. The system also includes searching based on the full text of the data captured in the listing. Listings can be geo-coded by Lat/Long (with a graphical map-click assignment system) This module also includes a KML export so that listings can be displayed on Google™ Maps/Earth. A highly flexible advertising system with unlimited advert types (each with extensive design options) available placement anywhere on a web site including inside content managed areas. Includes integrated stats and user assignment/management with administrator review. Dynamically links to the subscription module for automatic visibility control. The subscription module tracks memberships, subscriptions, and/or listing expirations. Including administrator control of up to 10 different notifications before, at, and/or after expiry of the subscription. As many different types of subscription as necessary can be created. On-Line renewal can be customized for the specific needs of the site and tied to eCommerce base online payment if necessary. Dynamically links to various other modules to control visibility based on subscription status. Project task management system for time and project tracking. Includes on-line timer and tracking of various projects by category. Can be used to assign work to various users and create time reports for billing. Track categorized properties, buildings, and a vast array of detailed information for each of these items - with unlimited photos, virtual tours and integrated search. With all data entirely under the control of the administrator - takes advantage of automatic image re-size and thumbnail creation to simplify the new listing process. Modules designed to help manage sports teams and statics. Ideal for community sports groups and schools. Tracks, players, teams, umpires/referees, tournaments, and individual matches in a web accessible database. Includes stats calculations for each tournament and league. Team managers can be assigned access to add scores, players can view game schedules, and fans can get stats overviews. Fully search-able and secured as with all XDe modules. Modules designed for the food and restaurant industry. Categorize and display recipes with dynamic search by title, category and ingredients. Includes cooking directions, alternate ingredients, and photos for each recipe. Dynamic display and management of menus and wine lists for restaurants. Ideal for managing rapidly changing menus of medium and large restaurants. Display of menus can be grouped to provide different menus for different groups and/or seasons. Secure, flexible shopping cart and simple eCommerce modules - enabling on-line sales by credit card, mail-order, and plugins for various other payment formats including PayPal. This is a smaller eCommerce option that uses a custom order page and tracks information in the database. User order notification and tracking is provided. This module can be extended to work in various formats but doesn�t require a shopping cart system. Enabling GIS on-line this group of modules provides mapping and plotting functionality in specific modules and to enhance others. Ideal for any application where items have location specific data such as accommodations, business listings and/or SAR. GIS Plotting module that can be integrated into various other XDe modules and provide mapping and Lat/Long selection of items. Administrators can upload a selection of basemaps for use in this module and it automatically selects the best scale map for plotting and/or Lat/Long selection. An advanced module for tracking objects anywhere in the world using GIS coordinate systems. This module was designed for the bosunsmate.org web site to track ships across the world�s oceans but can be used to track any object anywhere on the planet via direct or email position reports.